If you have been following my blog for any length of time, you know that I don’t like to give absolute rules for decorating. (There are always exceptions). However, several readers have requested tips for decorating small rooms. 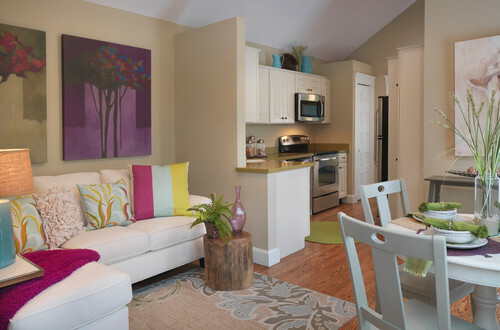 Many of you wanted to know how to make a small space feel more spacious, or just how to make it work, in general. So, I have assembled these tips for decorating small rooms, to provide a few essential guidelines for making the most of a compact space. So, let’s start with just a few dos and don’ts. One of the biggest issues that I see with decorating small rooms is that people tend to want pieces that are just too big for the space. 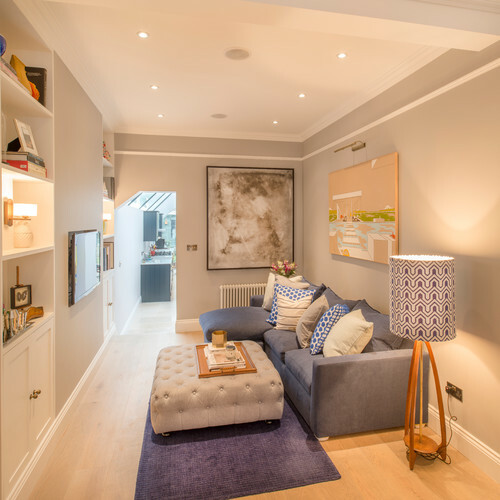 Getting furniture that is properly scaled to the space is the best thing that can be done to help a small room feel larger. 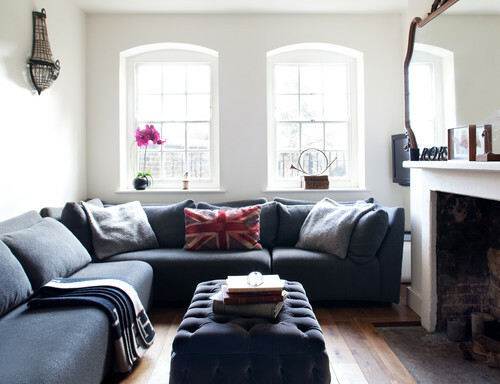 For example: Above, the sofa is crammed up against the adjacent wall, which accentuates the smallness of the space. Actually, the idea of utilizing the corner for seating is a good one. 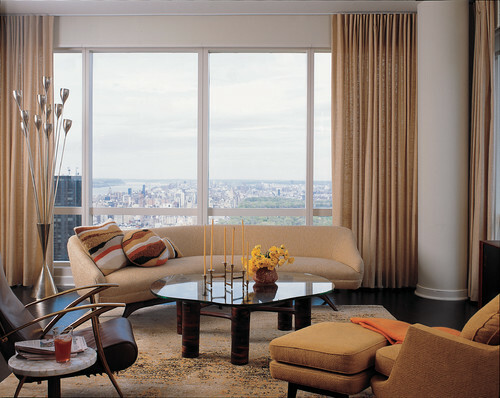 However, to avoid a crammed in feeling, make sure sectionals leave space at the ends. In the above image, the room would look more comfortable if the last section were removed. Here is a better layout of a similar room. Notice that they have still been able to use a sectional for seating. They have also added an ottoman that can double as seating if needed. However, the furniture is scaled properly. So, the room does not feel crowded. Don’t cram a large bed into a small guest room. I know that we all want to provide a nice, big, luxurious bed to our guests. However, there needs to be at least a few feet on each side of the bed. (I prefer 3 feet minimum, but 2 feet can be workable with the right set up). So, even though this bed, by itself, looks plush and comfy, in this room one would mostly notice the lack of space. Use an elegant and plush smaller bed – such as the twin bed above. 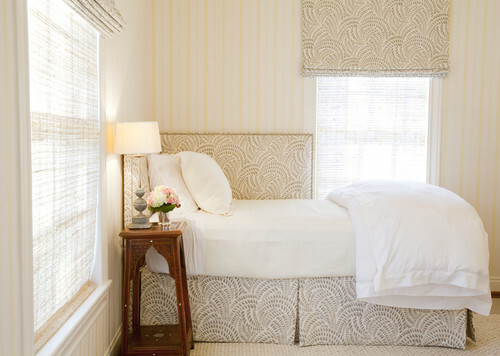 A corner position looks very pleasing when a corner upholstered headboard is added. Plus smaller beds are cheaper to outfit with bedding. So, you can afford to splurge on higher end linens. This provides a comfortable bed that looks elegant and inviting. Another option, for those who need space for two, is to use two separate twin beds. Notice how both beds have adequate walking space. 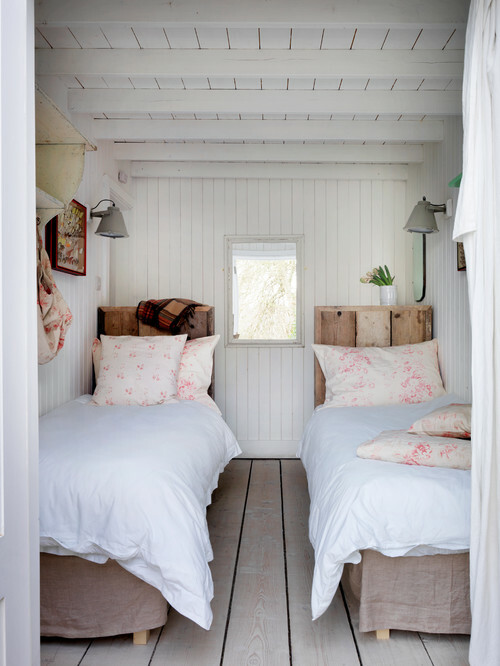 But, a full-sized bed in this same space would require the walking area to be divided into two smaller isles (on either side), and would make the space feel cramped. Glass top tables are great for smaller rooms, because they do not visually take up space. (i.e. you can see through them). Anytime you can add a glass top to a piece, it will open the space up just a little bit more. 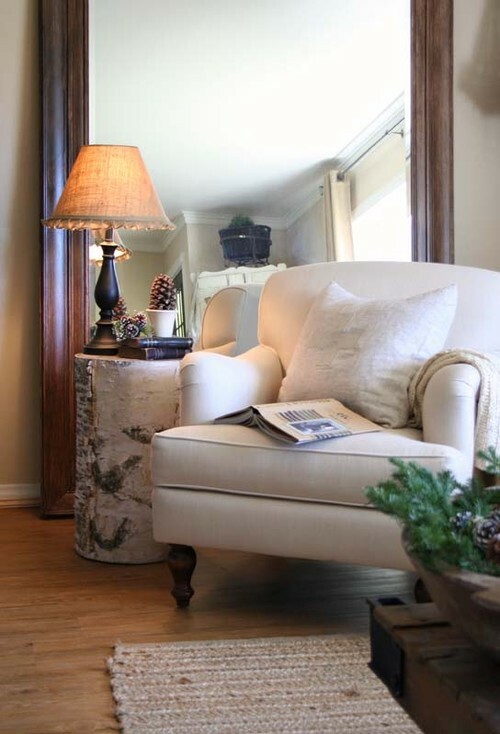 Everyone has heard that mirrors helps to make a small space appear larger. So, don’t be afraid to go big with them. In fact, this is one of the few items that you can actually get away with using in a large size. The more wall that is covered in mirror, the bigger the room will appear. I personally prefer a floor mirror for small rooms. Use narrow pieces. Everyone will need some sort of storage. 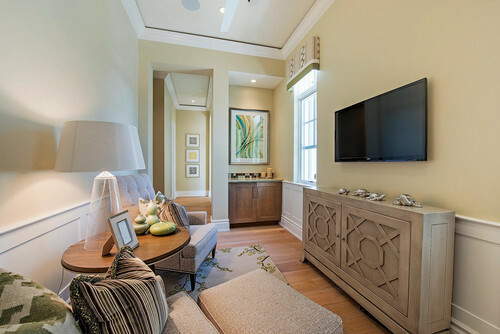 Using a narrow piece allows a small room to have that storage without it intruding into the room. Narrow console tables are great ways to add desk space and storage. It is also a nifty little space to tuck away extra seating. I thought that this image is a good example of a small room done right. Everything is to scale. Rather than a large sofa, they have used a love seat for the main seating. The rug encompasses the room, leaving around 18″ on each side. (Too small of a rug can cut a room’s size in half. You can read more about proper decor measurements here). Narrow end tables are utilized to fit perfectly in their space, and a clear acrylic chair adds seating without filling up the visual space. If you have any great tips for decorating small rooms, feel free to share them with everyone in the comments section.